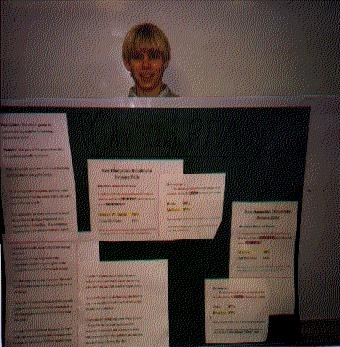 Ethan is displaying the results of polls conducted prior to the New Hampshire primary in January, 2000. He has the results of a nightly poll conducted by the American Resouce Group, and a poll taken during the day by a Quinnipiac College group. Both polls were taken during the period January 8-11. A brief summary of what is found in Ethan's project.